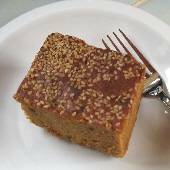 This is a specialty on the Greek island of Crete and one of the oldest (most ancient) recipes I know. Try this naturally sweet (no sugar added) syrup on yogurt, ice cream, in tea, on pancakes, in baking, and as a topping for snow!. A teaspoon also work wonders for sore throat and colds. 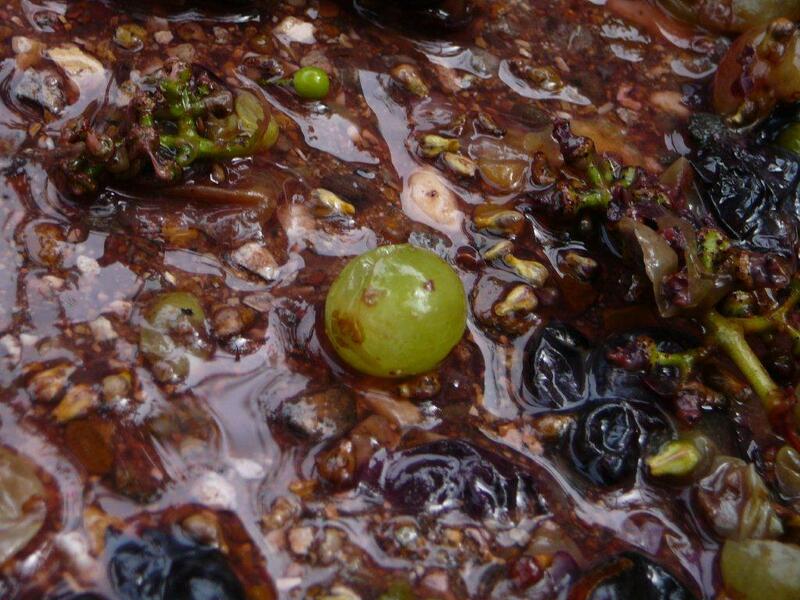 On Crete, it’s made in large quantities in September when grapes are harvested, and used throughout the year. 65 pounds of grapes will yield about 3 gallons of juice. You’ll need a piece of tulle for this recipe. (Work in manageable batches.) In a large tub, squeeze the grapes by hand (or use a grape press if available) to get as much juice as possible. 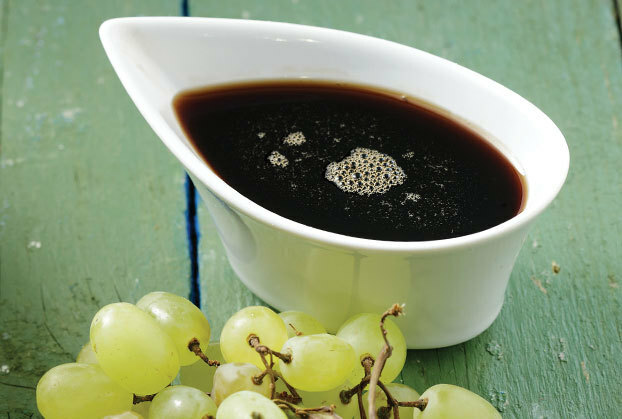 Pour the grapes and juice through a strainer, collecting the juice in a large bowl or pot. Discard the skins, seeds and any pulp. Add 4 tablespoons of wood ash to the gallon of juice, stir, and let sit for 10 minutes. It will make a froth. Strain the juice through the tulle into a bowl, and discard any collected seeds and ash. 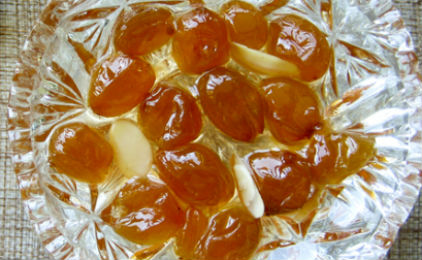 Prepare the petimezi in batches of 1 or 2 quarts each. Bring the juice to a boil, lower the heat to the lowest setting and cook uncovered for 1 hour. Skim off any froth that rises. The resulting syrup should be the consistency of thin maple syrup. It will be a dark reddish-brown color (see photo). Boil the must for at least one hour, until it thickens enough to coat a spoon (slow drip). Store in clean jars with a leaf of rose-scented pelargonium or a bay leaf (for a less sweet taste), away from light. Seal jars after the syrup has cooled completely. Do not refrigerate. Over time, the syrup may thicken. To thin, place the jar in a pot with 1-2 inches of water and warm gently (do not boil).